We’re head over heels for Liancarlo! This couture bridal collection is pulling out all the stops! The ruffle-tiered skirts, the French Alencon lace, even the unique Frosted Pink fabric—we’re in heaven! 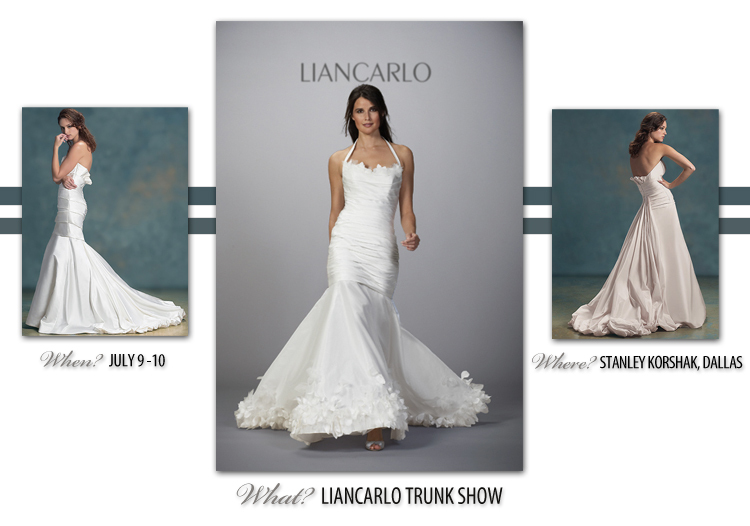 Make an appointment to view this fabulous Trunk Show July 9-10 at the Bridal Salon at Stanley Korshak in Dallas. For more information, contact 214.871.3611. Enjoy! « Previous Post: Attention Facebook Friends and Fans!